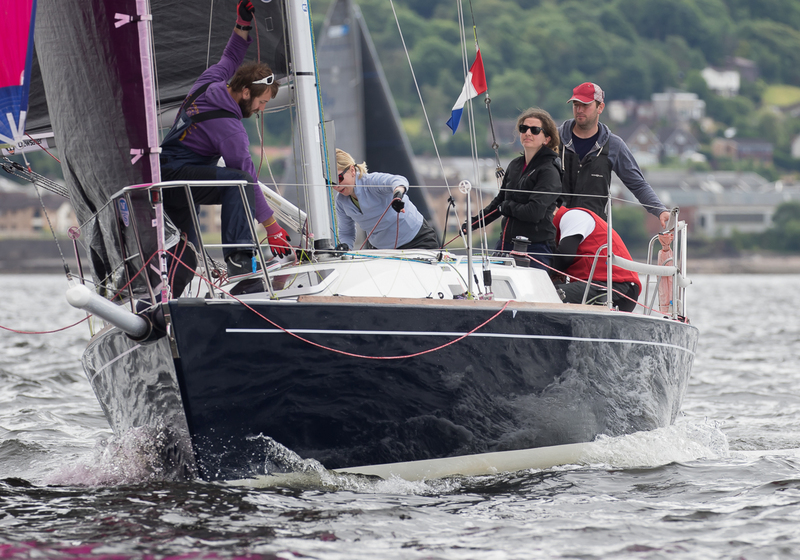 Sailing consistently clean competition across two days of the Old Pulteney Mudhook Regatta has given Charlie Frize and his new Corby 33 Banshee an overall win in the RC35 fleet on the Clyde. For the most part, day one’s honours in the nine-strong starting line-up belonged to Neill Sandford and crew on board MAT 10.10 Now or Never 3, but there was barely anything in it. Just two seconds on elapsed time in the first contest of the five-race series, separated Sandford from Frize – and the margins remained very close for the remaining two races on day one, with Frize taking race two and Sandford springing back for the win in the third. 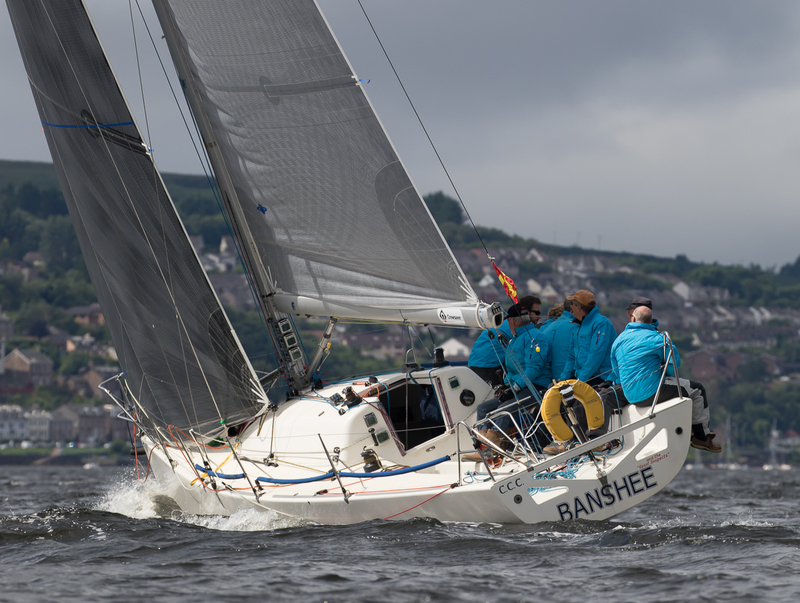 But team Banshee hit it absolutely right on day two to post a third and a first, while Now or Never 3 had a disappointing outing on the water with a sixth and seventh taking them out of contention for the overall victory. Also always there and thereabouts, Robin Murray and team on Beneteau First 35 Triple Elf took first blood in race four. With a short start line and tensions running high, the final race of the day saw the RC35 eagerness leading to two general recalls, before a clean getaway under black flag. 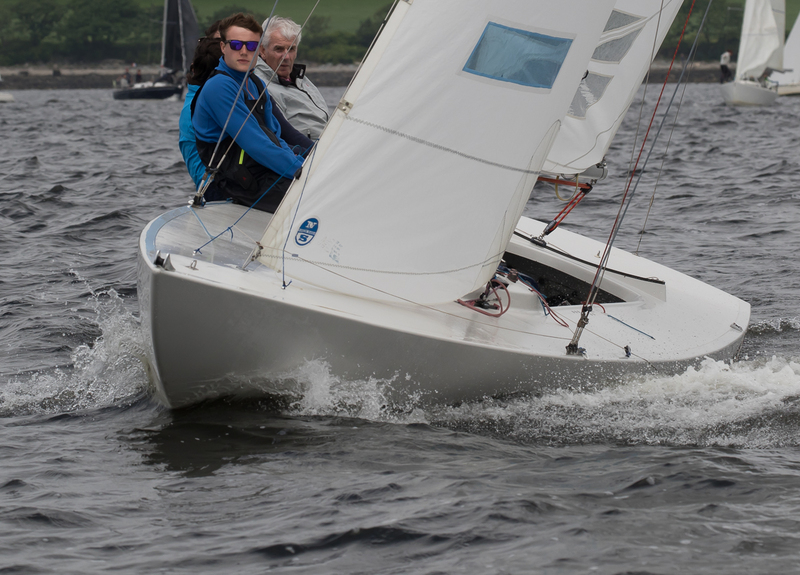 Steady breeze helped the race officer to set an overall series of four windward/leewards stretching from the Kilcreggan shore across to Gourock, rounding them off with an Olympic triangle in the last race and a healthy total of 25 yachts enjoyed well-coordinated competition across the weekend. 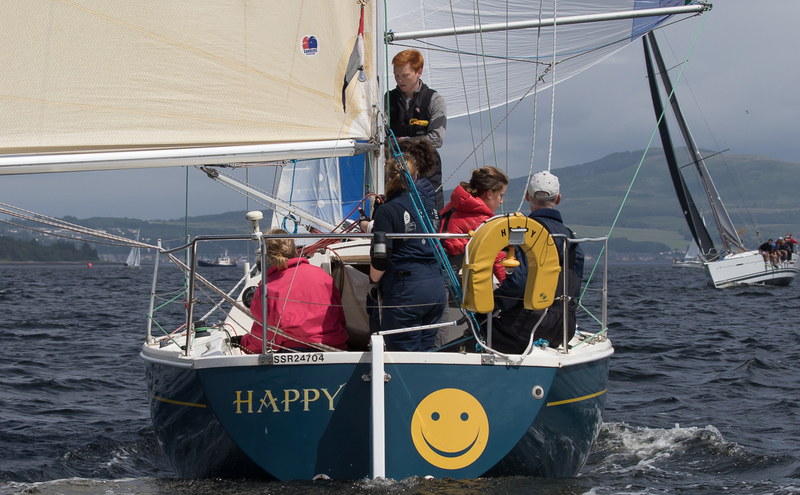 Also pushing hard throughout, Nick Marshall and crew aboard J92 Satisfaction held the challenges of Ian Macdonald and team Happy, to take an overall victory in the CYCA class – this class was also broken down as IRC3, with Satisfaction also rating top. 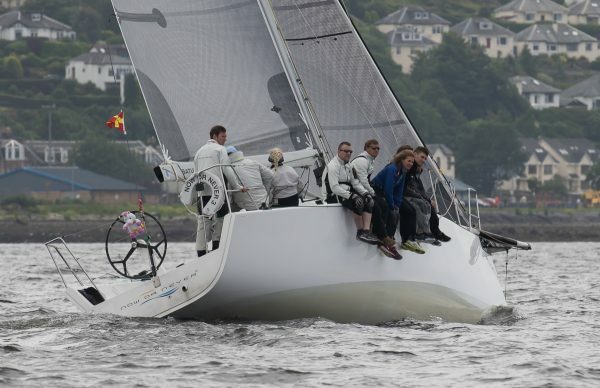 The Etchells’ six-strong fleet from day one was depleted to five on day two, as winner of all three of Saturday’s races, Hero, was unable to muster sufficient crew. However, Tom Lang’s Defiance played it safely throughout and bagged the overall win, despite not actually winning any of the five races.